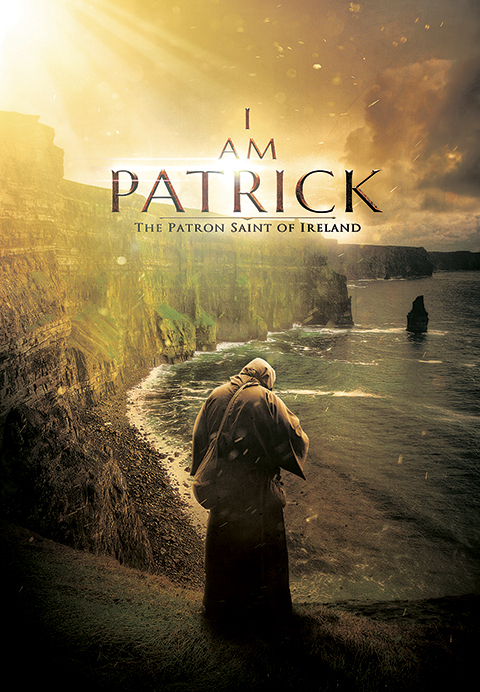 I AM PATRICK peels back centuries of legend and myth to tell the true story of Saint Patrick. Through historical re-enactments, expert interviews and Patrick’s own writings, experience the journey from man to saint. In the 5th century, the Roman Empire was collapsing and barbarians threatened civilization. In Britain, a teenager named Patrick was living a comfortable life as the son of a government official. Despite being part of the Roman Catholic Church, his faith didn’t mean anything to him until he was kidnapped by pirates at the age of 16 and enslaved at the edge of the known world – Ireland. For 6 years Patrick was forced to work as a shepherd and was driven to the brink of starvation. It was there that he turned to his Christian faith and through divine intervention managed to escape. He was reunited with his family in Britain only to have a prophetic dream calling him to take Christianity back to the land of his captivity. Against the wishes of his family and the Church, Patrick returned as a missionary bishop to Ireland and converted thousands to Christianity. He opposed slavers, Irish kings, and possibly druids but nothing compared to the hostility he faced from his fellow Christians. After a close friend exposed a dark secret of Patrick’s, it is believed he was ordered to leave his mission and return to Britain. Patrick had to choose – obey God or obey man?